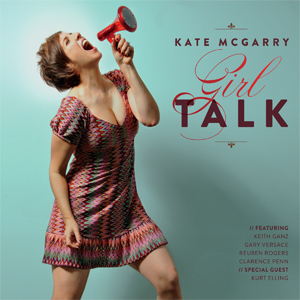 “Girl Talk” is a wonderfully intimate record that finds McGarry’s voice resting on a bed of impeccable arrangements that deftly walk the line between jazz and indie folk. Highlights include the bluesy title track, “O Cantador” with jazz legend Kurt Elling, and the Jimmy Rowles tune, “Looking Back”, which features a fantastic acoustic guitar solo by producer (and McGarry’s husband) Keith Ganz. Check out Kate’s next NYC appearance at Jazz Standard on April 18th. You won’t be disappointed! Also, here’s a little taste of Kate McGarry and one of my favorites, Esperanza Spalding.